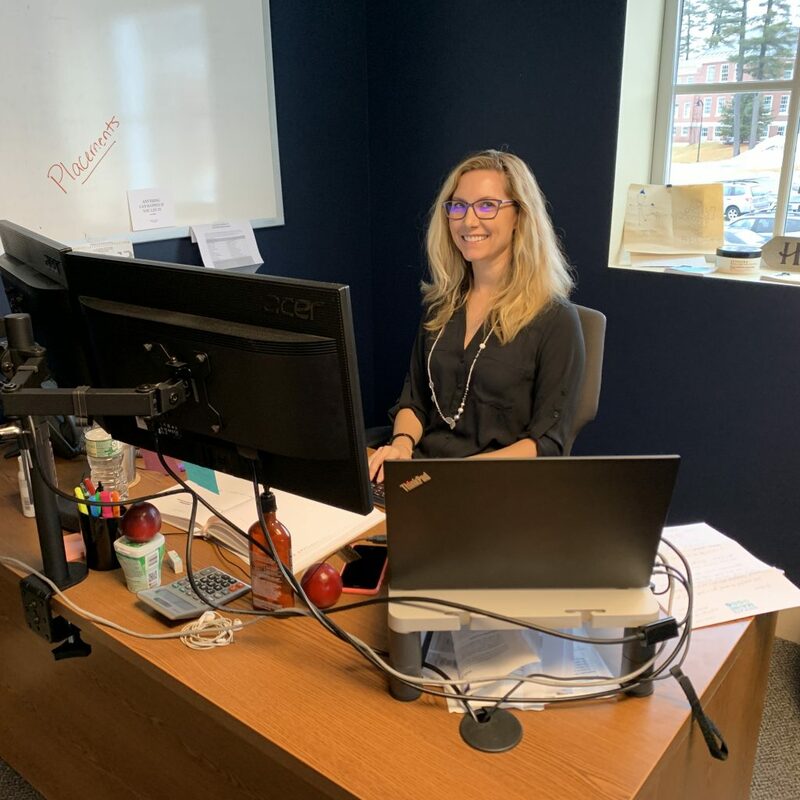 Employee Spotlight: Belinda Desmond - MOUNTAIN, LTD.
We say it often here at MOUNTAIN, but it’s true – the people make this place more than just a job; they make it something special. Belinda Desmond is the first to be featured on our new monthly employee spotlight to focus on some of the great people that make it such a special place to work! Belinda was recently promoted to Recruiting Team Lead after many years as a recruiter. Belinda is a true MOUNTAINeer, through and through, and gives her absolute all to every endeavor she pursues. Whether she is creating new relationships with potential employees or bringing her A-game in our yearly Spooktacular competition, Belinda displays the spirit of what it means to be a true MOUNTAINeer. Get to know a little more about Belinda! How long have you been working at MOUNTAIN, LTD.? – I’ve been with MOUNTAIN, LTD. for nearly 8-years (February 14th with be 8 official years). What positions have you had at MOUNTAIN? Oh geez, let’s see…Business Development Manager, Engineering Recruiter, Account Manager, New Hire Trainer, and Recruiting Team Lead! What is your favorite thing about working for MOUNTAIN? Our culture and the people I work with are my absolute favorite things. I know I risk sounding cheesy by saying that, but it’s true. Our dynamic is really unique. It’s a family. Every day I look forward to coming in, seeing my friends/colleagues and working hard with them to meet/exceed our goals for MOUNTAIN. We just get each other. You can come in at any moment and experience a friendly competition going on or hear motivating conversations, laughter or see high-fives or fist-bumps being tossed around for a job well done. I just love it! Couple that with our work hard, play hard company-wide mentality and our crazy, competitive competitions and events and it’s a world of fun. What is one of your greatest professional highlights? Hmm…this is hard. I’ve met and exceeded a lot of goals during my time at MOUNTAIN, but I think my greatest highlights are opportunities where I’ve been able to assist either a colleague or MOUNTAIN in a positive, forward driving way. Whether it’s mentoring, training a colleague to improve their performance or growing a new account or figuring out how to fill a ‘purple squirrel’ position. What are some opportunities that have come your way as a result of working at MOUNTAIN? I’ve had the opportunity to train new employees, mentor colleagues needing assistance in various areas, build and grow accounts, work nationwide filling Engineering roles. This was a whole new industry when I started and I’ve learned a lot in the 8 I’ve been here all thanks to MOUNTAIN. What does a typical day look like for you? Aside from our 8am morning meeting and jeopardy question, no two days are the same. Just the way we like it! What is something you’ve learned at MOUNTAIN that you never thought you would? Anything and everything about the Telecom industry. It’s amazing and ever-changing. What do you like doing outside of work? I’d love to have an exciting list of hobbies, but the reality is that the thing I enjoy the most is spending time with my family. We are really into sports, so it’s not uncommon for most of our adventures to revolve around sporting events or adventures outside. Favorite movie? It’s a tie between Tommy Boy and Legally Blonde. Belinda has achieved a lot with her time at MOUNTAIN including an Unsung Hero award in 2012 and a MOUNTAIN MVP award in 2017! Thank you Belinda for all that you do here at MOUNTAIN HQ. Your work ethic always exceeds expectations and the connections you’ve created with fellow co-workers and employees you’ve recruited is invaluable. You’re an asset to the MOUNTAIN team each and every single day!